Welcome to Digitally Downloaded’s weekly news feature, Catch-up coffee Monday. Each Monday we will bring you the best news from the previous week that you may have missed. Grab the biggest mug you’ve got, fill it with your favourite brew, and catch up with us (and our newest news anchor, Dee Dee)! With its total just shy of CAD $260,000 courtesy of 6,683 backers (myself included), Children of Zordiarcs has become Square Enix Collective’s most-backed via Kickstarter campaign. The record was previously held by Tokyo Dark, a game from Japan-based Cherrymochi. Its total amount funded via Kickstarter was CAD $245,000 after a $40,000 goal. Children of Zodiarcs is a tactical JRPG from Montreal-based Cardboard Utopia. The Kickstarter goal was reached within the first couple of days of the campaign, but the momentum kept up until the final moments. After this project, eight Square Enix Collective Kickstarter campaigns have raised around USD $800,000 total. I’ve got my eye on Trillion: God of Destruction, Idea Factory’s upcoming PlayStation Vita exclusive. It even came up in last week’s Catch-up coffee, as Dee Dee is also intrigued by the game. With the March 29 release date fast approaching, there is lots of new information to tide us over; this week, it’s a new trailer (see above) featuring gameplay. First off, how retro-RPG is that soundtrack?! But looking past that, the gameplay promises some unique features. The game is set on a countdown cycle. During this cycle, you must train an Overlord before entering the final battle with Trillion. It’s not all about training though, as spending time with your Overlord with decrease fatigue and increase your relationship. Just prior to the cycle’s end, you are afforded the chance to enter a mock battle to see if your skills are up to snuff. I can’t quite pinpoint what it is, but there is something about The Church in the Darkness that reminds me of This War Of Mine. Upon first glance, it is a top-down action game where the story changes with every play through. Dig further, though, and you’ll find The Church in the Darkness is actually inspired by cults of the 1970s (think Jonestown). In the game, Rebecca and Isaac Walker have led their people into a South American jungle where they create Freedom Town, a place to escape the injustice of the US. The player takes on the roll of a former police officer who tries to infiltrate the cult to rescue his nephew. It’s also worth noting that the Walkers were specifically created to be portrayed by real-life couple Ellen McLain (GLaDOS from Portal) and John Patrick Cowrie (the Sniper from Team Fortress 2). The pair will also be involved with the soundtrack. The Church in the Darkness is expected early next year for PC/Mac, PlayStation 4, and Xbox One. It’s the gadget that never quite took off, and now it looks like the PlayStation TV is on its last legs. I’m holding out hope that it’s discontinuation is a result of a newer model happening, but there’s no evidence of that at this point in time. 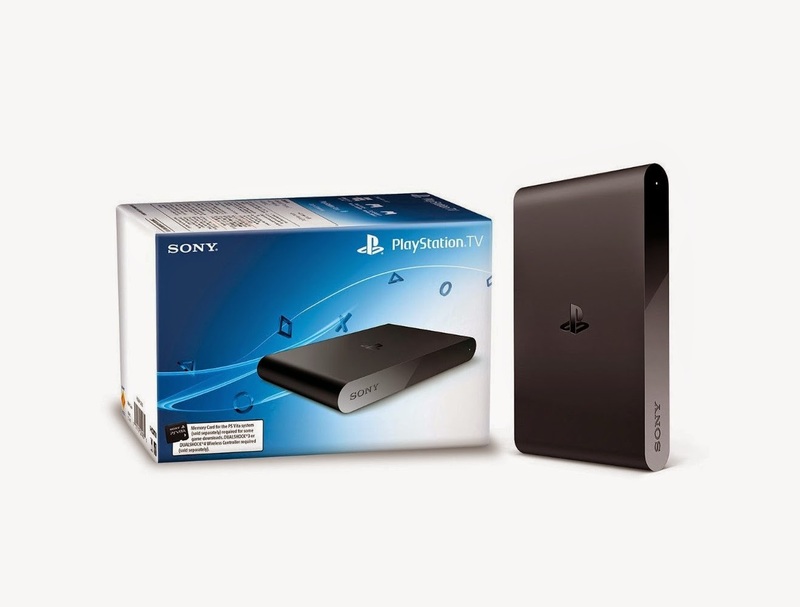 There has been no specific announcement regarding the PlayStation TV, but it is now listed as “end of shipments” on the system’s Japanese site. There is no word on whether or not it will be discontinued in North America and Europe. I don’t normally report on rumours, which this news item certainly qualifies as, but it makes me a little sad because the PlayStation TV has loads of potential that was never quite reached.